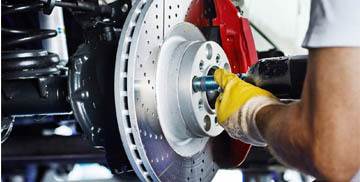 COMPETITIVE PRICING AND EXPERTLY TRAINED TECHNICIANS. The professionals at Econo Lube N' Tune & Brakes have been providing quality automotive service, repair and maintenance since 1973. 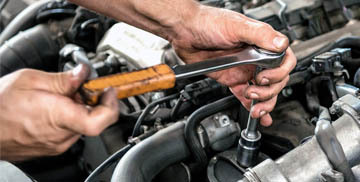 We like to consider ourselves a full service automotive repair facility, offering accurate recommendations and affordable pricing on brake service, oil change service, tune ups, inspections and emissions testing and a menu of automotive maintenance services. keep your engine running the way it should. engine efficiency and fuel economy. You'll want to have a basic oil change about every 3000 miles in order to keep your engine clean on the inside and reduce contamination from dust, metal particles, condensation and antifreeze. 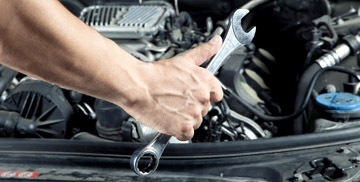 Having regular oil changes can also help you improve your gas mileage. 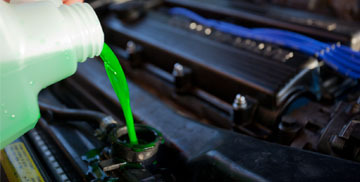 Replacing oil with manufacturer's recommended grade of motor oil can increase your gas mileage by 1-2%. If your vehicle has more than 75,000 miles on the odometer, you should consider a high mileage oil change every 5000 to 7000 miles. This will help reduce leaks and offer a cleaner engine interior. You'll get higher viscosity and better wear protection, as well as improved performance and reduced oil consumptions. Quality synthetics can be used with confidence in any gasoline engine passenger car where conventional oil was previously used. Always follow manufacturer specification requirements and viscosity grade recommendations.